If we go into the flash back to our childhood, which part mostly evokes and entertained us? May be few things ….Chocolate!!! Toys!!! Or Animated Cartoons!!! Whether commercial or Social, Religious or Personal, Presentation would be the first step to communicate the message to the target audience. At the same time, Yantram believes that Animated presentation whether for corporate, commercial, Industry, Product, Brand , Any live celebrity or for any subject , it's deliberate efforts and requires a years of expertise with blending of technical skills , creativity , visualization and lot more which Studio like Yantram proudly produce and delivers. However there are many ways of presentation but good video presentation is not only the montage of images , not only photography but to create and harmonize the concept and convey the message such a way to create lasting effects among the Target Audience. YantramStudio involve in many International product's promotion & We proud to take care from idea to designing of product and creating promotional videos of the same. Corporate 3D Animated Video Presentation is very novice and most effective way of Communicating Branding & Presenting Corporate Brand Value chain. 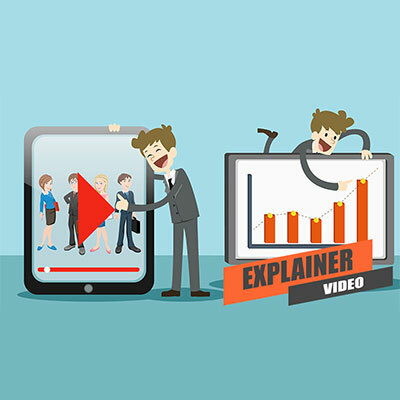 Infographic videos are an excellent style of video which can used to communicate key data facts. Just provide us the statistics and analysis; we make them animated for you! Yantram Studio, helps the Marketing professionals to visulise their strategy for the target market , what they think, We make them live by creating perfect Animated Marketing Videos. Training and Manual Videos are the animated way to train your staff, students or end user to guide them. Give us the storyline and we would provide you the visualization. Yantram Studio, having multiple options in Presentation Video, Where Whiteboard Animation videos can be extremely effective marketing tools for education, training etc. 3DYantram Video Editing studio - Video Production Studio take care of your budget and video-graphics, editing, 2D- 3D animation, script, music composition, logistics, and voice-over artists. Our video Production team focus to ensuring the best production values for your presentation video. 3D animation is an ideal way to bring characters and inanimate objects to life. Our team of experience 3D designers, 3D animators can work with an existing design to model, rig and animate characters in any setting. In addition to 3D animation, we also produce 2D character animation - using Flash, After Effects, and traditional cell (hand drawn) techniques. 2D animation can also take the form of motion graphics and visual animation, that doesn't feature a character. Our 3D animation services also include Chroma Effect along with visual FX production, Photo Real effects, particle effects, and environment modelers & Design and many more. New world corporate video multimedia, VFX and Special Effects production house direct with HD video capability. 3DYantram can add more excitement than ever to your company's brand. Whether you want a small scripted presentation web video, 2D short movie, TV promotional video for a meeting, Advertising video, or an entire website with 2D-3D Character Animation Voice-over artists & VFX - Special Effects. we add communications value on Small business video or large corporate video. We can help deliver a show-stopping experience to your audiences by promoting your message with video Production and allow your production more freedom, creativity, and innovation.